RMIT International University Viet Nam (RMIT Vietnam) donated more than 1,200 academic textbooks to An Giang University Friday. RMIT Viet Nam President Michael Mann presented the textbooks and six computers to An Giang University’s Rector, Professor Vo Tong Xuan, at the RMIT Viet Nam’s Sai Gon South Campus. The donated textbooks collection covered marketing management, logistics, information management and techniques to improve writing skills. 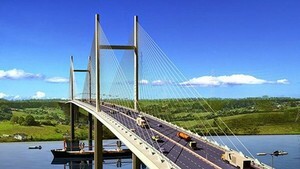 “We are trying to educate the human resources of this region with appropriate knowledge and skills so that they will be competent to first manage their own family’s business, then to participate effectively in our national effort in developing wealth out of the rich resources of Viet Nam,” Professor Xuan said. “An Giang University is fortunate to be looked after by RMIT Viet Namin its education endeavor. The addition of business and ICT textbooks from RMIT Viet Nam will certainly enhance the teaching and learning activities in An Giang University. We are certain that our students in these fields will do better in their studies and research, and hopefully after graduation they will fulfill the above mission," Mr. Xuan added. 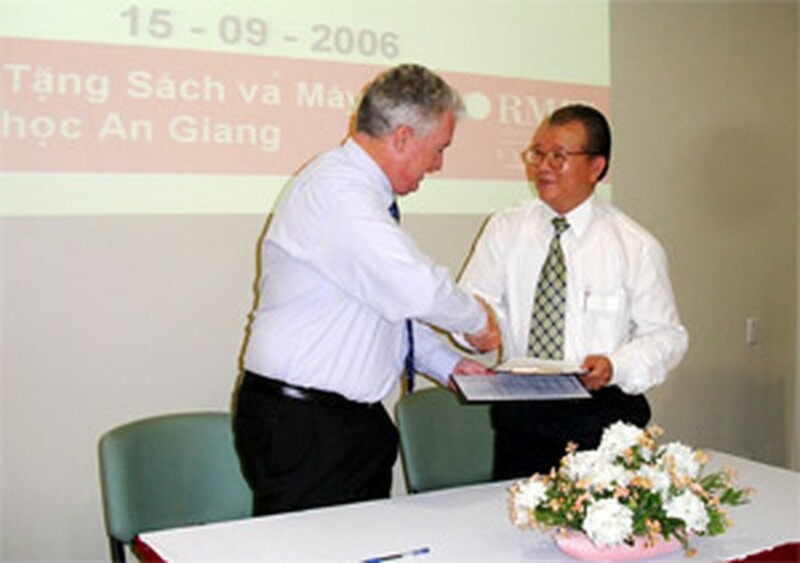 The donation is part of RMIT Viet Nam’s corporate social responsibility philosophy. RMIT Viet Nam works with Atlantic Philanthropies, an international philanthropic organization, to project manage the construction of learning resource centers for Da Nang, Hue, Can Tho and Thai Nguyen Universities.